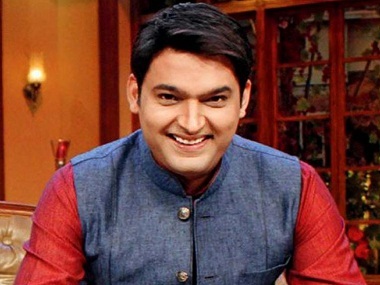 After winning hearts for the past three years, things went a bit haywire for Kapil Sharma earlier this year. If his much hyped on screen fight with Sunil Grover, instances of making celebrities wait, even calling off shoots at the last minute, and scrapping of the famous Kapil Sharma Show weren’t enough, his second film Firangi too failed to impress the box office. Not just that, he even managed to stir a controversy involving Farah Khan. According to various reports, Sharma arranged a special screening of his film Firangi last week for his friends in the industry. Finally, Kapil Sharma has something to say about Farah Khan’s latest comments. DNA reports Kapil saying, “We had a show on Thursday. In whatever way I thought correct I had invited all my friends from the film industry,It was mostly attended by cast crew and our friends and family. I hope my big powerful friends in the film industry will see the film later”. While Kapil’s statement seemed to be a bit on a milder side, the director of his film Firangi, Rajiev Dhingra was angry with not just Farah’s remarks but even for the bad reviews Firangi received. He said, “Don’t understand this negativity surrounding Kapil. Why is he being treated like this? Could it be he has offended important people by just being who he is? Even the reviews for Firangi are pretty harsh. I don’t think we deserve such condemnation”.